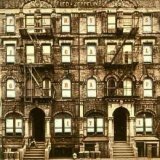 The New York Mets have traded an unused water cooler for an MP3 recording of “Kashmir” by Led Zeppelin. It is assumed that this will be the entrance music for soon-to-be-obtained Scott Kazmir, who is currently packing his bags to leave Tampa Bay. It’s hard to believe that the free agent market has yet to open — it won’t for another week — yet already the newspapers are reporting “rumors” such as “Rays May Dangle Kazmir” and the bloggers are reporting that “Scott Kazmir is on the Market“. C’mon folks, let’s get serious here. There’s a HUGE difference between speculation and rumor, and an even bigger difference between rumor and reality. But suddenly, this offseason, all three have morphed into one format defined as “buzz”. How did this happen? I have a theory. The blogs — most notably the most influential, such as MetsBlog — have taken away the audience that used to pony up fifty cents for the daily newsrag. Why spend coin when you can go online to get more, better, and free information on your favorite team? After several years of stupidity, most of the newspapers finally made their articles free online, but while they were forcing people to buy subscriptions — or at the very least give up an hour of their day to “register for free” — the blogs were taking over the readership, little by little. Now we have newspapers publishing “blogs”, which are nothing more than daily unedited articles from the same tired columnists — some of which don’t even allow comments! As a result, the newspapers are still losing the online game, and the pressure is on the writers to come up with “bloglike” stuff — the kind of thing that will stir up controversy, get people talking, and most importantly, get people linking to. Whether the story is fact or fiction is unimportant — as long as the article gets other websites linking to it, the story is a success. At the same time, you have the various blogs (there are over a hundred Mets-specific blogs at last count) competing with each other for links as well, and a great headline means there’s a better chance that a.) the story gets picked up by an RSS – reading headline-skimmer and b.) the search engines will pick it up and score it highly for pagerank. In the past, we could count on the newspaper rumors to have some truth to them. They would always have a “source”, even if it were an “unnamed” one. But now, in the competition for eyeballs and backlinks and pagerank, the sports columns are not dissimilar to The Star or The World News Report. Someone’s contract is up next year? Think up a way he can be traded to the home team. An owner says he may trade pitching this winter? Spin up a story that says he’s dealing the best arm he has. And so it goes. The latest round robin of ridiculousness revolved around former Mets phenom Scott Kazmir, currently of the Tampa Bay Devil Rays. Someone (Joel Sherman, actually) noticed that Kazmir is eligible for arbitration (took long enough; it was something you could look up two years ago) this winter, and spun it into a tall tale whereby Kazmir gets dealt back to the Mets — backed up by a mysterious source, of course. Next thing you know, MetsBlog is reporting that “the buzz” is that Kazmir is on the trading block. Amazing! An executive familiar with Tampa’s thinking said if the offers for Santana grow to a substantial level, then the Rays would test to see what they could get for Scott Kazmir. Sooooo … from that we are to assume that Scott Kazmir will be traded? First off, what in the world constitutes “an executive familiar with Tampa’s thinking” ? It’s obviously NOT someone INSIDE the Devil Rays organization. And what kind of “executive”? The CEO of a carpet company? A vice-president from the Tampa local savings bank? This mole is worse than the typical “anonymous source inside the organization”, the “someone close to the negotiations”, and the “good friend of so-and-so”. Calm down, people, Scott Kazmir is going nowhere. He and James Shields are the only Major League quality pitchers in Tampa Bay’s entire organization, and he’s only 23, and he’s remarkably cheap. Even after arbitration, he’ll be inexpensive in comparison to others on his skill level, and Tampa Bay doesn’t have to lock him up on a long-term deal. Paying Kazmir, say, $6M or $7M for one year is a heckuva lot cheaper and more sensible than signing someone inferior such as Gil Meche to a to a 5-year, $55M contract. Kazmir will not be eligible for free agency for two more seasons, so the Rays would be absolutely nuts to trade him now — unless someone called them and bowled them over with a offer (i.e., Joba Chamberlain AND Philip Hughes). Listening to unsolicited offers is not the same as being “on the market”. Now I know what some of you are thinking … this “buzz” talk makes the winter fun. I agree — to a point. The baseball Hot Stove season is all about rumors, but it will get old quickly if we continue to hear about illogical conjecture without any substance whatsoever, such as this Kazmir talk and the nonsense regarding Tim Lincecum last week. (Of course, I’ll be eating crow if either player gets dealt this winter, but we’ll wait and see.) After a while the rumor mill gets so saturated with stupidity it isn’t fun anymore. Why do you think The Star is sold to people waiting on supermarket lines? Because the only time anyone is interested in that rubbish is when they’re bored out of their minds waiting to get their food to the register. By the time they’ve paid for their goods, the stories in The Star are a faded memory, and the publication finds its way back on the rack or into the trash bin. Do we really want the Hot Stove to turn into something similar to Hollywood gossip? Tomorrow: Braves to Deal Chipper and Smoltzie to Mets! This would make for an excellent editorial in the paper the Kazmir “rumor” started from…although we all know they’d never print it. Knowing that “credible sports reporters” turn into gossip columnists during the offseason should encourage people to stop taking so much stock in what they write. But I guess as long as people believe in Bigfoot and the Loch Ness Monster, they’ll also believe that players like Kazmir and Lincecum are on the trading block. Again, major props for the article. Very well done. Joe: I think the pain of that trade still haunts you. but to see the 50 comments (and content)so far is what has amazed me. Not just what they say but who is saying. to see YOUR comment there with 7train’s…wow. There is more emotion being expressed there than reserved for Arod last week. I concur with Metsblog. In fact, I wish the name Kazmir would never come up. I wish HE would sign a 15 yr extension with a full no trade clause. Btw. i wish i had the time to write about the most suprising trades in history. I wasn’t really calling out MetsBlog as much as Sherman. This nonsense from Sherman is irresponsible, and the blogs are supposed to be spreading the news — and it’s completely fair for MetsBlog to reiterate something from the NY Post as “news”. What I’m not liking is the use of the term “Buzz” in regard to conjecture, hypotheses, and ill-supported “rumors”. I’m all for rumors, believe me, but something as illogical as this one, and to back it up with “an executive familiar with Tampa Bay’s thinking” is utterly incredulous. By the way, isn’t it interesting that Sherman’s book is being plugged at the beginning of the article? Good link, Mic. Looks like we’re not the only ones talking about Carlos Silva, Ramon Hernandez, and Luis Castillo good fits for the Mets, while also saying Tom Glavine, Curt Schilling, and Arod aren’t. Interesting how Paul Lo Duca is not considered a top-50 free agent in his eyes, while guys like Juan Uribe and Mike Lamb are. Oh well. 1. I would not list Yorvit ahead of Paulie tho. I agree with you that Paulie is the best catcher on the market. It is my view that a change is due (leadership?) and my view is (somewhat) based on the on field product and backroom rumors. 2. The Beddard comparison was interesting.